Destruction Time Again... at one point Caspar Brotzmann (Massaker) and T.Raumschmiere (Monstertruckdriver) had to meet. They did and liked it. After a number of selected concerts the Berlin twins of destruction created a number of tracks in the studio. This EP is a music document of pure beauty. Because behind this wall of sound of tones lies a romantic projection of art. Every listener that is willing to dig a bit deeper can explore pure music. Built out of dreams of music, movements of layers or shifts of patterns that has been melted and grown at the same time. All three tracks are amazingly touching. Blood, sweat and tears. 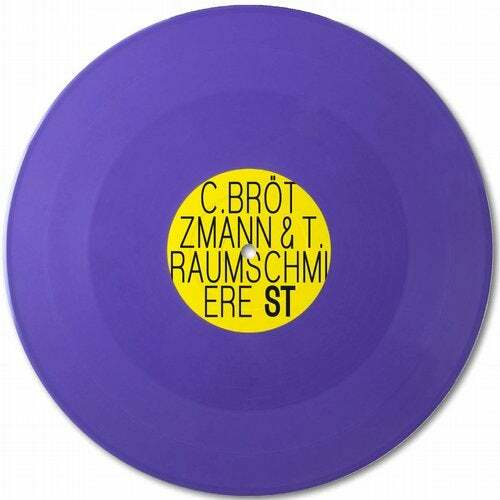 On Shitkatapult's 2017 issue of their annual very special release (10" vinyl only) for the infamous Record Store Day the record C.Brotzmann / T.Raumschmiere fits, especially, as an outstanding piece in the label's 20th anniversary year. Drama may pass, music still digs.